If you are facing a murder, manslaughter, or homicide charge it is important to have an attorney with an established history of defending against serious criminal charges. Jeff Dean has two decades of background and success in handling serious criminal cases, and importantly, he practices only criminal law defense. He has won NOT GUILTY verdicts in a murder and manslaughter case even though the evidence of guilt was overwhelming. Besides homicide, he has also won DISMISSALS or NOT GUILTY verdicts in a wide range of criminal cases from DUI and assault, to drug charges and domestic violence allegations. For your particular situation, Mr. Dean will personally assess the best defense techniques and he will fight to win. He may assert that the state has not proven your guilt beyond a reasonable doubt. Why is this important? In a criminal case the prosecutor must prove your guilt beyond a reasonable doubt. This is a high standard and means that all doubts about the meaning of evidence are to be resolved in your favor. Other possible defense strategies are that you acted in self-defense or that you did not have the requisite intent to commit the act. The law presumes that you are innocent. Just because you have been charged with a homicide does not mean you are guilty. To protect your rights, call Jeff Dean today: (305) 967-6311 or (954) 204-3633. Florida has some of the strictest sentences regarding homicide. In fact, if you are found guilty of homicide in Florida, then you could be looking at a life time in prison or even the death penalty. Protect your name and your life by getting legal advice as soon as possible. If you are a suspect in a homicide investigation it is vital that you speak to an attorney before you speak to the police. Anything you say can come back to ruin your case in the future. Jeff Dean will sit down with you and go over what has happened and determine the best way to prove your innocence. Leaving matters to an experienced murder attorney is your best option when faced with something as life shattering as a homicide arrest. Be polite but firm if you are questioned. You have the absolute right to not say anything. Many officers will give you the misleading impression that giving a statement is in your interest. It is not. Talking to police can end up costing you the case. Stay strong and stay quiet. A murder, vehicular homicide or felony murder conviction can change your life forever. If you are not sentenced to the death penalty then you will most likely be left behind bars for an extremely long time. The most important thing to remember when you are accused of a homicide is that it is not game over. There are several different defense tactics that could work to clear your name. 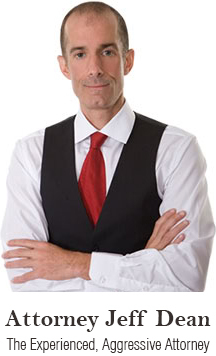 Jeff Dean is an attorney with many winning criminal cases under his name. He can help you with first degree murder, second degree murder, third degree murder, and vehicular homicide and manslaughter. Jeff Dean will exhaust every resource possible to pursue the best outcome possible. This is not the time to take chances. Contact successful Miami homicide attorney Jeff Dean today. Don’t risk the rest of your life without a fight. Call Jeff Dean today at (305) 967-6311 or (954) 204-3633.